See SaleCloud in action @ http://tinyurl.com/salecloudd! Wondering where maxxinistas find their best deals at? We’ve got something interesting for you! 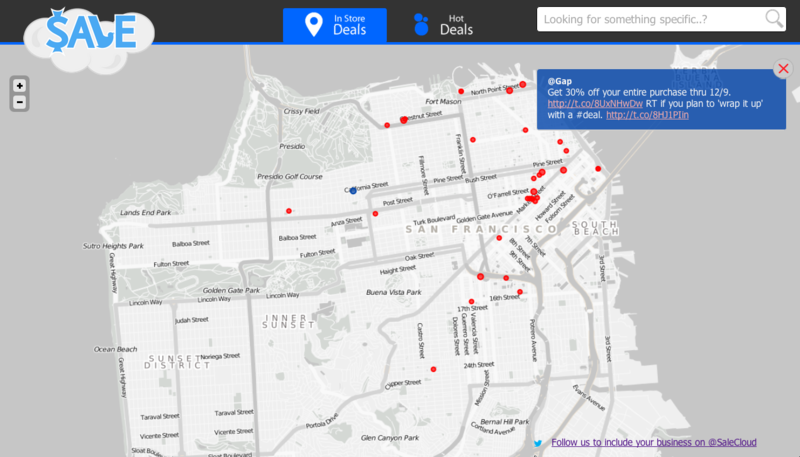 Visualizing tweets related to sales on map as a “sales cloud” to allow users to instantly identify hot sales/deals that other shoppers are tweeting about. 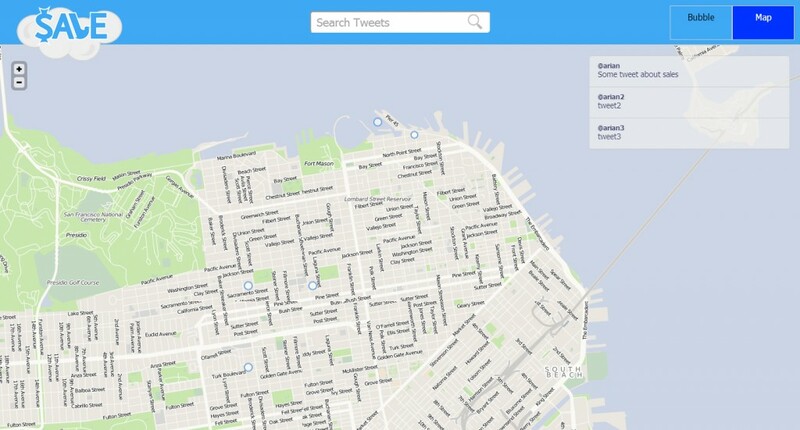 Allowing users to search by topics within the tweets and adjust the heat mapaccordingly. For instance, a user can search for tweets related to “Shoes,” which wouldthen modify the map to show tweets relating to sales with the term “Shoes” in the text. Allowing users to focus on certain regions of the map and view the sales tweets from those regions. Optional – allow store owners to sign up to the service and advertize sales/coupons.